I'M THINKING OF CHANGING MY NAME. 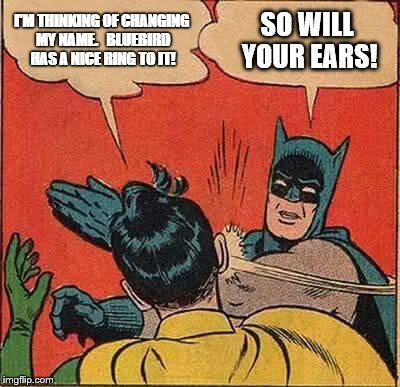 BLUEBIRD HAS A NICE RING TO IT! SO WILL YOUR EARS!